The use of new technologies in education developed rapidly in the 1990s, as, for example, with the Internet, whose impact on educational practice could not have been predicted seven years ago. Much is now expected of this technology, but has its adoption led to the development of genuinely innovative approaches to teaching and learning? 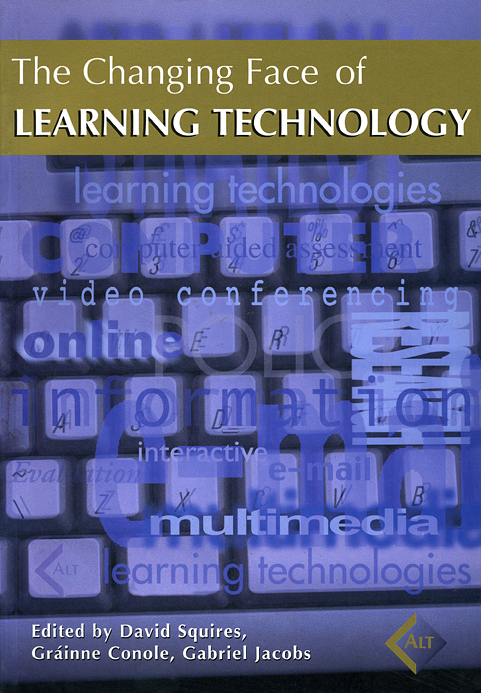 Originally published in the journal Alt-J, the papers collected in The Changing Face of Learning Technology illustrate how the field of learning technology has developed since the journal was launched in 1993. The volume is divided into four sections: design and evaluation of technology-mediated learning environments, institutional change, learning technology in a networked infrastructure, and reflections on future possibilities, and a short update of each article has been written to highlight developments in the area of the original presentation. The distinctive approach of this collection provides an interpretative framework for an understanding of the use and design of learning technology. It is hoped that this will stimulate an appreciation of underlying issues and their significance for supporting learning and teaching in both higher and further education.